Cyclodextrin for cardiovascular diseases treatment? 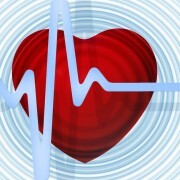 Cardiovascular diseases are the leading cause of deaths worldwide. Atherosclerosis is a state when plaques consisting also of free cholesterol are continuously clogging arteries and this leads to high heart pressure and at the end to brain strokes or heart infarcts. As a prospective promising therapy for treating atherosclerosis, scientists found out that cyclodextrin can be used. Findings were published in Science Translational Medicine in April 6th. Cyclodextrin mediates its effect in vivo on reprogramming macrophages and decreasing inflammatory response in cholesterol-containing arteries. Cyclodextrin also increases cholesterol solubility, so it dissolves cholesterol crystals. Interestingly, the effect was observed even after continuing a cholesterol-rich diet. Cyclodextrins form a family of cyclic oligosaccharides and they are used e.g in food industry for preparation of cholesterol-free products. They are also important for pharmaceutical industry since they can increase solubility of water insoluble drugs and therefore increase their availability in a body. One of the cyclodextrins- α-cyclodextrin- has a verified health claim in EU for its ability to decrease sugar after a high-starch meal and is part of some weight loss supplements. What is interesting on the above mentioned article is also a fact that it was initiated by a mother of two children who have a rare Niemann-Pick Type C disease. The disease is accompanied by a cholesterol accumulation in a body. The twins were the first people with this fatal disease treated by cyclodextrin. Treatment had good results and the mother contacted scientists and suggested them to use the agent for treatment of atherosclerosis. After series of animal experiments scientists were able to show that cyclodextrin has indeed effect on cholesterol and atherosclerosis. A mother of twins is also a co-author of the scientific paper. 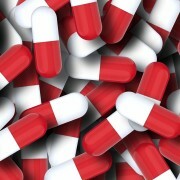 https://martinalutter.com/wp-content/uploads/2016/04/pills-1173654_1280.jpg 800 1280 admin https://martinalutter.com/wp-content/uploads/2016/04/web_logo1.png admin2016-04-08 17:04:172016-04-12 10:50:22Cyclodextrin for cardiovascular diseases treatment?